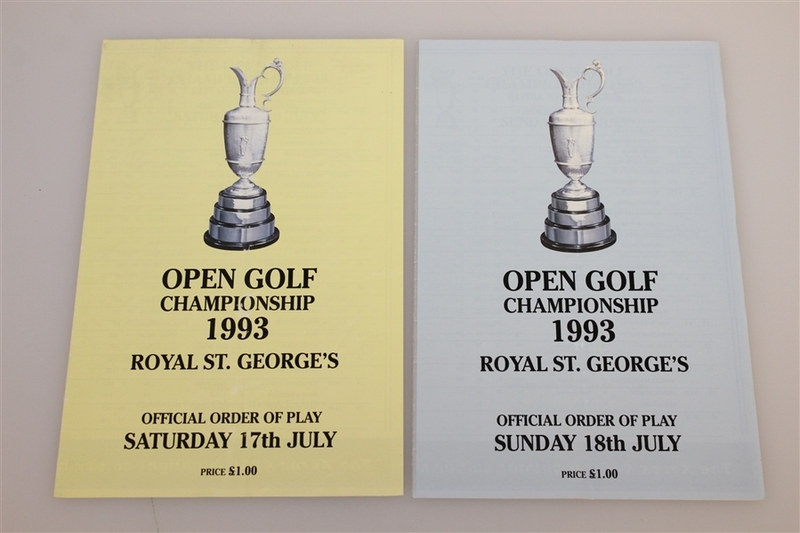 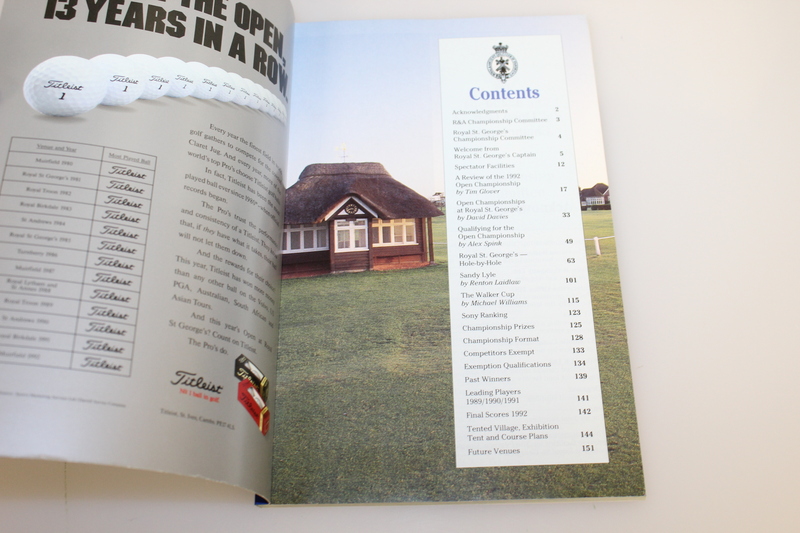 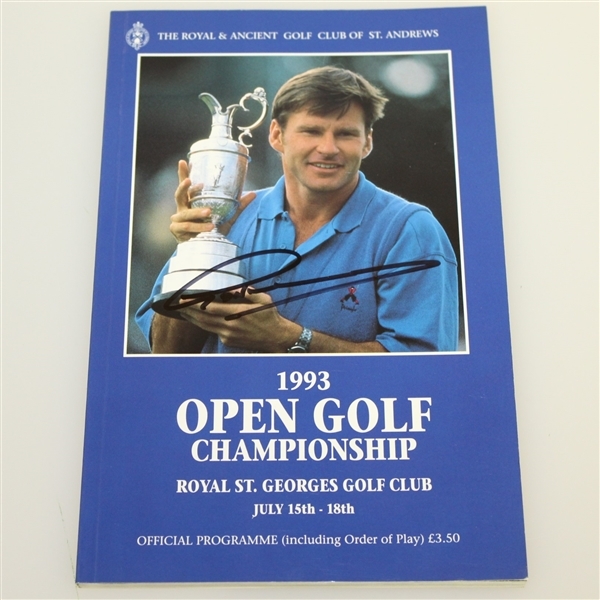 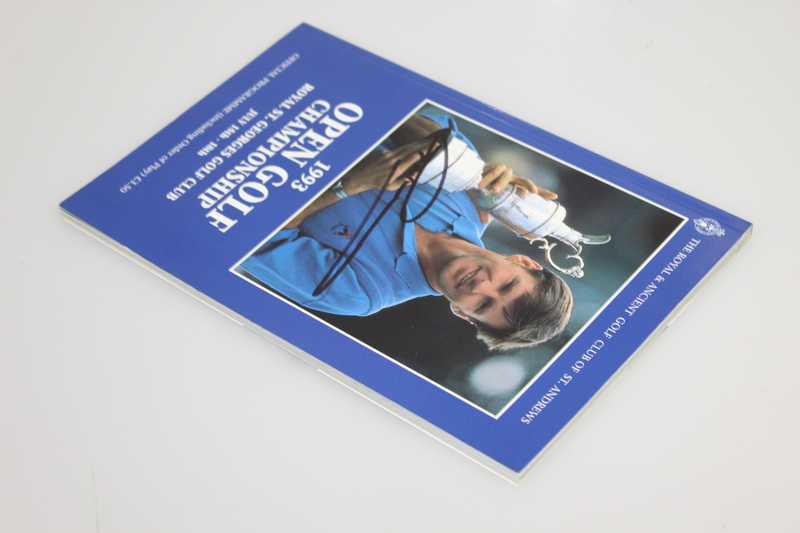 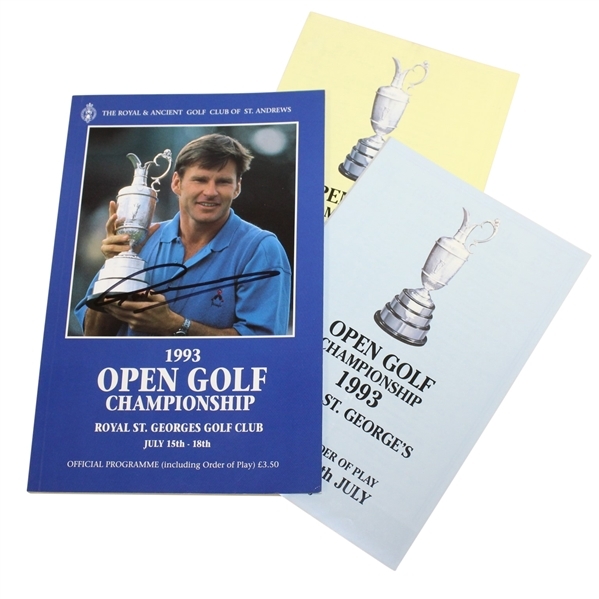 Presented here is a 1993 Open Championship at Royal St. George's program signed by the winner Greg Norman. 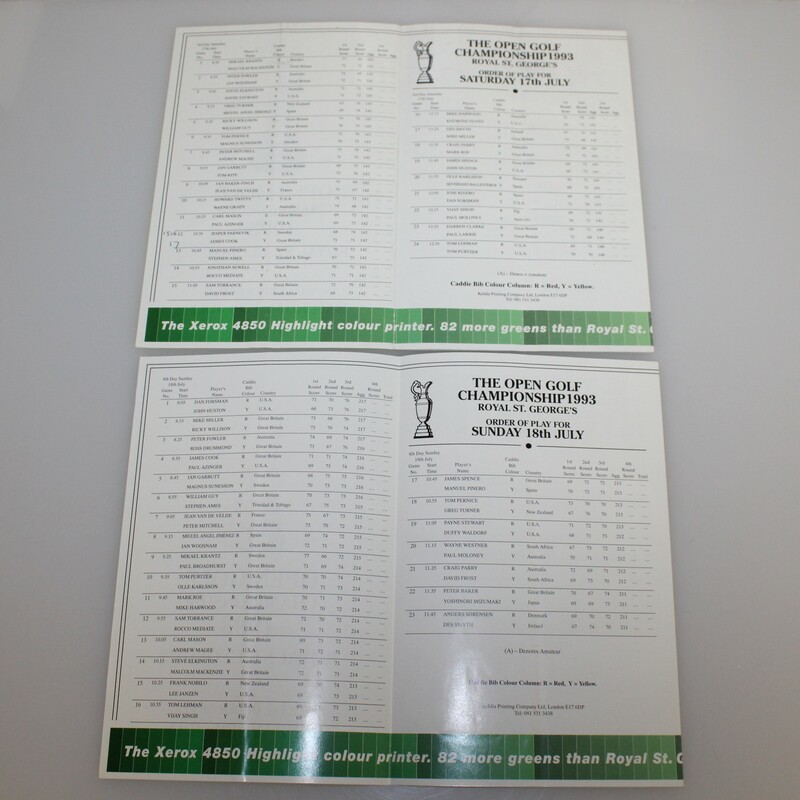 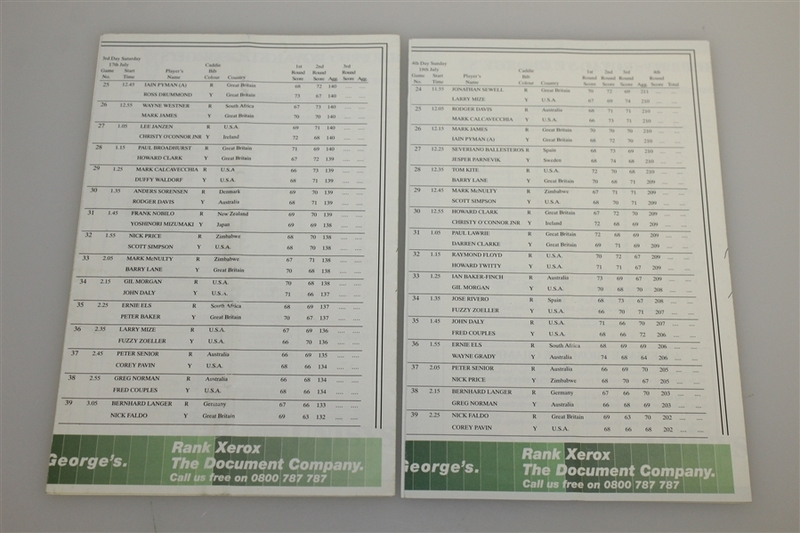 Also included are two pairing sheets from the tournament. 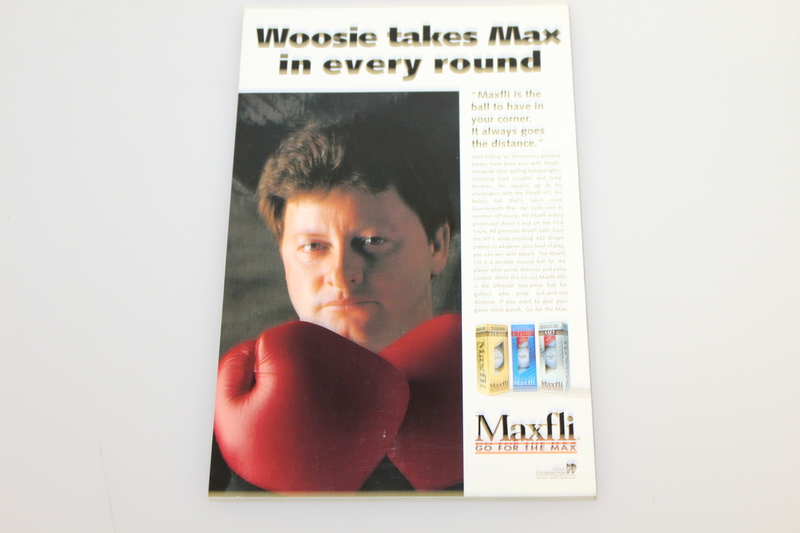 All come in good condition. 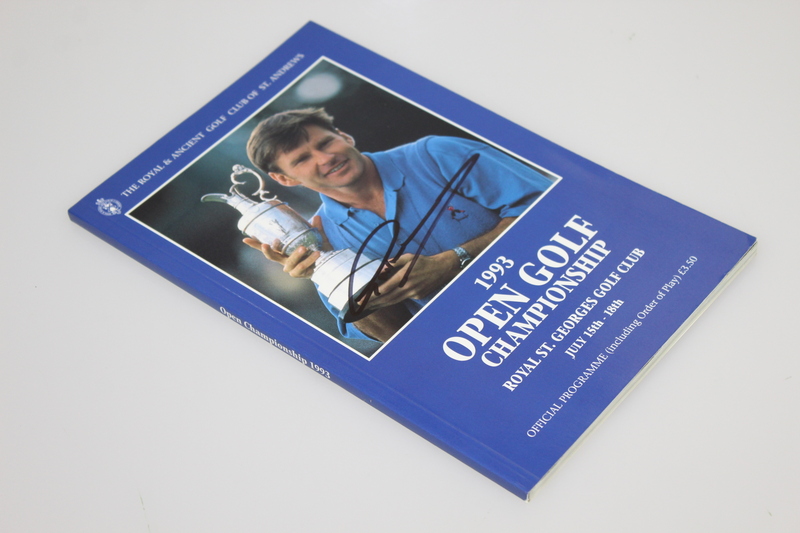 Norman's final round 64 sealed his victory, his second Open Championship title.